The first book in the beloved Inspector John Rebus series, Knots and Crosses is a fabulous introduction to not only the central character, but the streets of the city he protects. 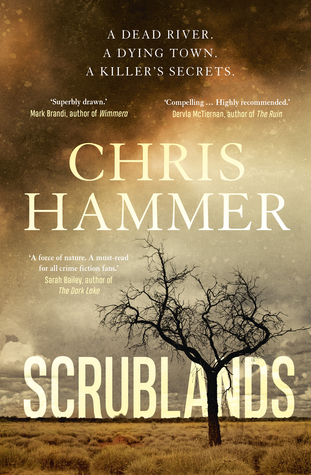 In this novel – preceded by a fairly self-deprecating introduction by Ian Rankin who reflects on his early writing efforts through the lens of his success and how Rebus and the reception of his books changed so much over the years – ex-SAS man, Detective Sergeant Rebus is still reeling from a bitter divorce from his wife, Rhona and his increasingly distant relationship with his daughter, 12-year-old Samantha. Furthermore, he is harbouring some deep, psychological trauma which he refuses or is unable to acknowledge, one that often emotionally winds him, leaving him feeling bereft, confused and somehow ashamed. Seemingly unable to form let alone keep a functional relationship, including with his younger brother, the hypnotist Michael, Rebus is delighted when a female Inspector, the rather glamorous and efficient Gillian Templer, takes an interest in him. When the bodies of young girls start turning up, little does Rebus realise how personal this case is going to become – not until it’s too late. Throw in drug-dealers, a persistent journalist pursuing a story that will potentially shatter lives, unsigned cryptic letters, angry bosses, tired cops, and the flawed Rebus, who has a tendency to reflect deeply on literature and quote from it, and the stage is set for a moody, atmospheric, character-driven book set on the mean streets of Edinburgh. Thoroughly enjoyed it and am already looking forward to getting to know Inspector John Rebus and co much better. 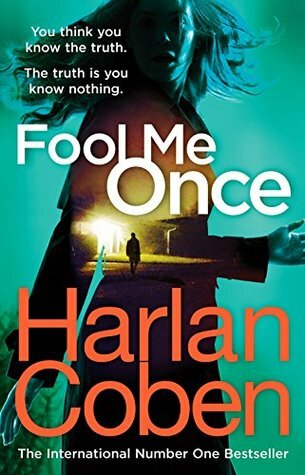 I don’t recall reading a Harlen Coben book before, but after consuming his latest, Fool Me Once, in practically one sitting as I was unable to tear myself away, this will not be my last. This stand-alone novel (that is set to be a movie starring Julia Roberts) is a rollicking read of loss, grief, mistakes, deception, betrayal, secrets, lies, and the consequences of these upon members of a particular family and those they trap in their web. The main protagonist, Maya Stern, is a retired and admired war veteran who flew missions in Iraq and has come home not only with a cloud over her head and the loss of her beloved sister to face, but now also the brutal murder of her husband, who virtually died in her arms. Suffering from PTSD and facing the reality of single motherhood, Maya is just coping with the ongoing investigation into her husband’s death and his domineering family that is, until her closest girlfriend persuades her to use a nanny-cam while she’s at work. When, one day, she spots her dead husband nursing their young daughter on the cam’s footage (this isn’t a spoiler – it’s in the blurb and was the hook that convinced me I had to read the book), reality as she knows it begins to disintegrate and Maya, using all the skills and intelligence that held her in good stead in the military, must uncover what’s going on, why and who’s behind it before someone else close to her dies. Economically written but without sacrificing character development or tension, this is a cracker of a read. At times, I found myself holding my breath or letting it out in relief as the plot built, unfolded and them twisted in a direction I never saw coming. Suspense grows, the shadows around Maya darken as more and more people are drawn into both her search for the truth and the impossible answers that are emerging. The complexity of the plot is brought together in a gruesome yet Poirot-inspired finale that I didn’t see coming. Terrific read that was worth losing most of a night’s sleep over. Bring on the next Coben, please. 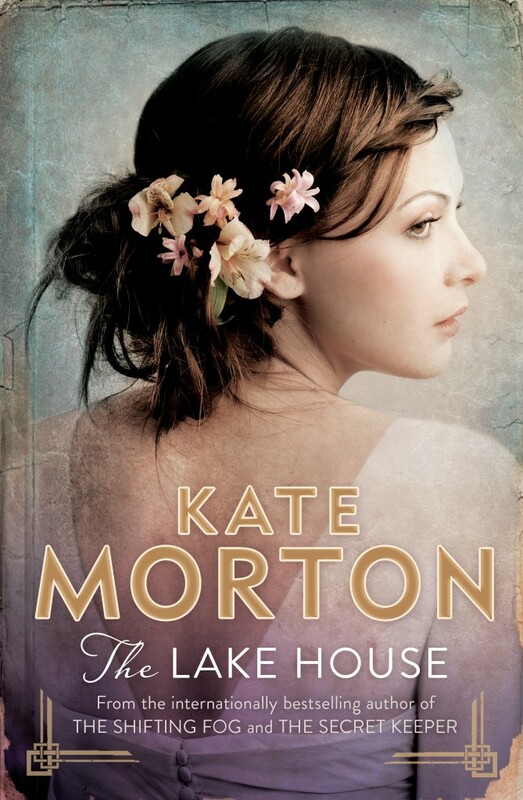 There’s both comfort and security picking up the work of an author you not only love, but know has the ability to transport you to a different time and place – Kate Morton is one of those authors and her latest novel, The Lake House, that kind of book. Set in two different time periods – basically, Cornwall prior to and during WWI and London and Cornwall in 2003 (as well as brief glimpses to other decades/years), the tale has many of the ingredients we’ve come to know and love from a Morton book. There’s the magnificent house filled with nooks and crannies and, of course, secrets, hidden amidst a marvellous setting of tangled woods, a sun-dappled lake with surging seas in the distance. Cue a family of four gorgeous children with a loving mother and father, a bitter old grandmother, a depressive but faithful older friend who once wrote a successful children’s book featuring the mother of the family as his heroine, a handsome young gardener and protective nurse who live beneath the roof of this house and you have a recipe for, in Morton’s hands, an enigmatic disaster. Move forward seventy odd years. When detective Sadie Sparrow, a dedicated London-based police officer who has taken a serious career mis-step and been forced to take time off work stumbles upon the now decaying lake house while staying with her beloved grandfather, Bertie, in Cornwall, she knows she’s found something to take her mind off her own misfortune. Learning that the wealthy and happy Edevane family lived in the house until the youngest child, 11-month old Theo, disappeared one Mid-summer’s Eve, never to be seen again, Sadie determines to get the bottom of the mystery. And so Sadie opens up her own investigation into the past, a past that surviving members of the Edevane family, including famous crime novelist and octogenarian, Alice Edevane, whose very first novel was about a baby who vanishes, would prefer left alone. Segueing between the present and Sadie’s complex personal and professional situation and the discoveries about the Edevane family she makes, and moving back to pre 1914 and the formation of the Edevane family itself, the mystery of Theo’s fate is slowly and beautifully unravelled. Readers learn how his mother, the lovely and headstrong Eleanor, meets the dashing and clever, Anthony. We are privy to the births of their children, the three girls and baby Theo. We understand the love and trust Eleanor and Anthony bear for Mr Llewellyn, but also the rancour and distance they feel towards Eleanor’s rather embittered mother, Constance. As we learn about the Edevanes and those who share the house with them, we’re given insights into how the war impacts upon the family and what lies beneath the apparent picture of perfection and happiness they all present. Once again, the house is as much a character as any of the people who are beautifully and richly drawn. Atmospheric, Morton’s way of describing characters and place brings them to life in the mind’s eye and allows your senses to respond to each person and scene. We smell the blooms, hear the pounding of the ocean, feel the slippery reeds in the cool lake as they wrap around ankles; we experience the first pangs of love, the steadfastness of loyalty promised and fulfilled, the guilt when personal expectations fail and above all, the fear and dread that war and its aftermath brings in its wake. This is a novel about families, secrets, regrets, promises, failings and so much more. It’s about how decisions of the past impinge upon the present. It’s about consequences, truth and lies and how running from your past is virtually impossible. As the adage goes, it has a way of catching up – and when you least expect it. It’s also about women and motherhood and it’s in exploring these themes and the issues they raise – and over different historical and social periods – that Morton excels. Far from offering a series of binaries through which to understand women’s choices, painting a portrait of perfect or imperfect motherhood, or presenting a treatise on the failings of or superiority of one type of mothering or the vogue of a specific period compared to another, Morton examines motherhood from the inside out. The stultifying and shattering effects of patriarchy and war on family, as well as ways of liberating oneself and your offspring from these are measured, as is the extent to which mothers will go in order to do the best for their children and for the fathers who also love them. Yes, there’s guilt, self-sacrifice and a surrendering of the self in order to achieve what seems so often impossible, raising another human within shifting familial, social and cultural principles, to be balanced, happy and resilient, but there’s also internal ambivalence, a longing for the person you once were to emerge, even if that threatens to topple a carefully built edifice and undermine painstakingly laid foundations. But there’s also fleeting recognition that wearing a mask – of competency, social orderliness, happiness, no regrets – is an illusion that can do as much damage as adhering to it can avoid confrontation and the possibility of change. There are many different types of women and mothers in the book and a range of motivations offered for decisions reached. It’s easy to recognise aspects of yourself – and the children these women raise – in them all. Captivating and heart-wrenching at times, The Lake House was a wonderful read. My only reservation is the ending is so damn neat – a bit too pat. I shed a tear as knotty threads were unravelled and mysteries solved, and while I didn’t see some of the twists coming, others I did and felt the resolutions were sometimes too perfect. It was very difficult to suspend my disbelief. The novel explored the imperfections of life so well, and then rounded out the tale by ignoring that which was so beautifully investigated. Not that this will stop me recommending this book or continuing to feel delight at what it offered – pure escapism.